In common with many small collieries, the mine at Huangcunjing has no locomotives and the 600mm gauge tubs are moved around by hand. A miner pushed an empty tub into the mine on an extremely dull January morning. 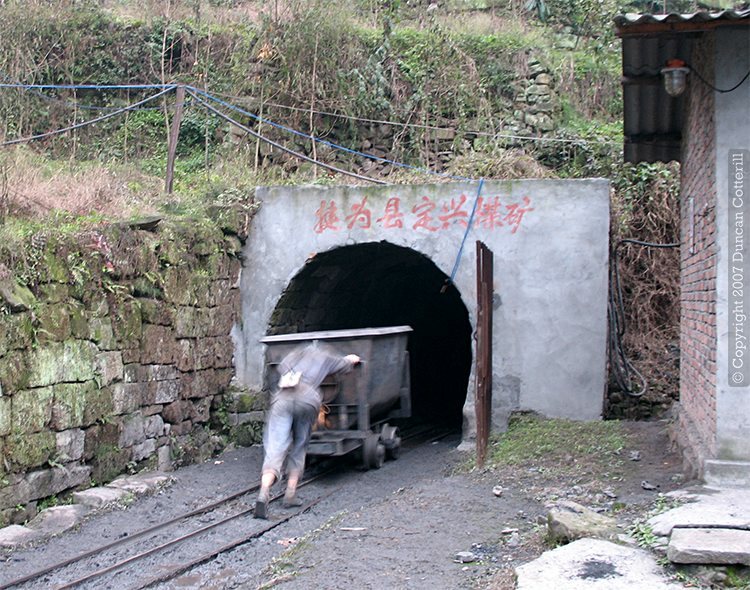 Life is hard for miners at this and other small coal mines around China.